There are many ways to get water to your plants and lawn in and around your landscape. One of the most efficient ways to water is the lawn drip irrigation or garden irrigation installation method. 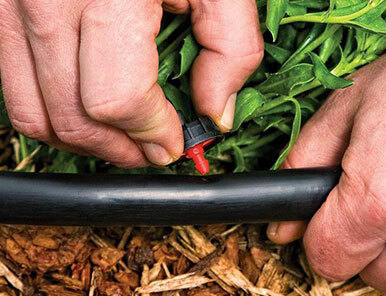 Drip irrigation is a method of applying slow, steady and precise amounts of water and nutrients under low pressure to specific areas or your garden, shrub beds, flower areas, ground covers and potted plants. By introducing the water at ground level or below, the water can seep into the soil and move laterally by capillary action towards, down and around the root zone. Because this all happens underground, this method keeps an adequate section of the sub surface root zone completely saturated to capacity, without any evaporation, therefore requiring less water for maximum efficiency. This method is actually done drop by drop over a longer period of time than above ground conventional sprinkler head methods. Since all of the water begins to be applied at or below the soil surface without the use of any spraying, there is no wasted overspray and wind or air caused evaporation making this method much more efficient. Studies show that drip irrigation systems use 30-50 percent less water than conventional sprinkler watering methods like sprinklers. 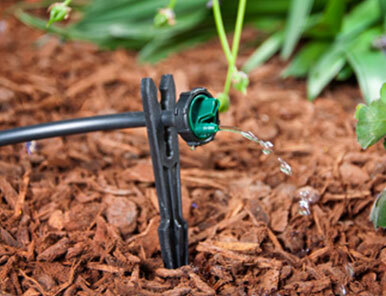 Utilizing and building a drip irrigation system requires the installation of a permanent plant watering system. This system is similar to a sprinkler system in the respect that it is achieved by the use of flexible polyethylene tubing or PVC pipe with devices attached periodically called “emitters” for delivering or dripping water in the areas desired. These emitters deliver a precise amount of water directly right to the plant instead of spraying water all around and on a plant wasting vast amounts of water. The drip irrigation system also requires a manifold and valves and a clock but the similarities to a sprinkler system stop there. There are also various other water delivery porous pipe products that can be used including soaker hoses, drip tape and laser soaker lines. 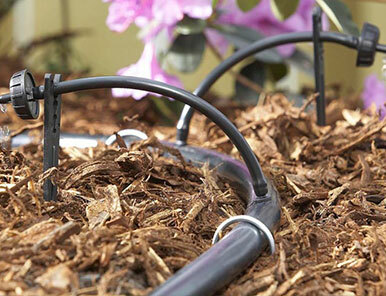 In short drip irrigation systems maintain a near perfect moisture level in the root zone of a plant. This avoids the too wet or too dry scenarios that happen all too often with conventional overhead sprinkler systems. Drip irrigation systems can also be used to apply fertilizer directly to the roots of the plants with zero waste. Huge water savings as only the exact plant root zone areas are irrigated ( little waste). Having constant proper moisture greatly improves plant growth and ability to really thrive with larger fuller blooms, more flowers, larger thicker leaves. Much less weed growth in shrub beds due to no watering between plantings. Cost savings as these systems are less expensive than those of an underground sprinkle, bubbler or shrub mist head spray system. They use a metered low application rate and automatic timers resulting in more precise water control. The water rate can actually be tailored to each individual plant by using different sized emitters with different discharge rates. Plants visually look much healthier due to exact correct watering and far less stress. By using an exact source and delivery method of water, fertilizers and nutrient blends can be introduced into the system with an exact science with no product waste. There are many choices for various drip and garden irrigation products and it can be quite confusing. That’s why you have us. Every supplier offers a full line of different misters, emitters, pressure fittings, pressure regulators, cartridge filters and many, many other accessories. The Y filter is the most important component in your drip irrigation system and is so because the emitters outlets are very narrow so even the turbulent flow emitters can be clogged quickly by a grains of sand, small metal pieces or the smallest of particles. Very old buildings or when water main rust exists can cause debris to exist in the water lines and will affect the performance of your drip irrigation and micro spray irrigation system. 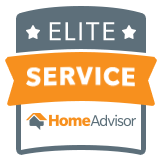 It is of utmost importance to include a filter cartridge when installing this system and it is regularly checked and cleaned out. Sometimes it is required to install several filters depending on your wter source intakes and direction of the flow of water. There are many manufacturers of emitters and available in many different pressure ratings, many sizes that offer a different flow rates for your system. Each emitter has a color code that coincides with it’s capacity. These emitters are placed into the systems piping with a punch tool and will always be mounted at intervals to make sure the desired flow rate is achieved. You can also use different emitters in the same line to get different watering rates for different plants. Piping: The piping or supply lines are usually small in diameter and never more than 1 inch. These lines are normally made of a PVC piping or sometimes even polyethylene. The smallest of flow emitters are used for all your important flower pots and planters and use the clear plastic type tubes so as to blend in with the plant material. These tubes are usually 3/8 of an inch or smaller. These lines are very easy to hide or bury under your favorite mulch or under your plant material in the flower pots themselves. Pressure regulator: It is important to control the pressure in the system. Drip irrigation and garden irrigation systems are designed to work on low pressure. BY our technician installing a set pressure regulator will help control and step down the supply pressure and ensure the system will not be badly damaged. Every emiter has a pressure rate spec set by the manufacturer and it is important not to exceed these set limitations. Inline drip piping: This piping is a mixture of combination of a drip emitter and a lateral supply lines. This special combination design has periodic spaced emitters directly inside the piping and it is produced and put together at the manufacturers place of origin. All internal emitters that have a this special turbulent flow design will help keep the emitter from clogging in normal operation provided the filters are also installed properly. This type of piping comes specially packaged in coiling with different size flow rates and they can be quickly placed and staked into the ground and buried under your mulch or soil covering for a great seamless visual appearance. Soil types also play a part in types of emitters and drip irrigation generally speaking the thicker the soil the less water needed and the smaller emitter required. Micro spray emitters- The purpose of micro sprayer drip irrigation units is to spread out the watering somewhat similar to an overhead mister head system that waters your flower beds on a conventional system except on a much smaller scale and size. A Micro sprayer system uses very small lines and very low pressures similar to a drip system. A micro sprayer has the ability to spray in a thin wide pattern from 1 foot to ten feet in length and adjusted to a wide thin spray area. These systems are great for tightly packed flower beds, or areas of dense ground cover, or anywhere that plants are very close together. The micro head sprayer is really great in the garden area. SUPERGREEN IRRIGATION HAS EXTENSIVE EXPERIENCE AND TRAINING WITH RESIDENTIAL AND COMMERCAIL DRIP IRRIGATION SYSTEMS\METHODS. PLEASE CALL US TODAY FOR A FREE VISIT AND ESTIMATE ON A CUSTOM DRIP IRRIGATION SYSTEM. WE LOVE BUILDING THESE SYSTEMS. THEY WORK GREAT!